In the mobile main menu, choose Settings then scroll to Send feedback option in order to send comments to our team. Select a department to which you wish to address the feedback and write the desired text message. 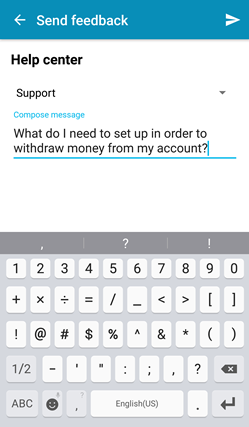 Press on Send icon on the top right of the screen to send the message.